I received my beautiful French bird pillow and I am thoroughly delighted with it. I would surely order from the Watsons again. This pillow is so adorable! It is well made with very nice thick fabric and should hold up to all the grandchildren jumping on the couch. I bought this for a gift for my mom and she loves it. Thank you! Beautiful pillow and arrived very quickly! ! Thank you !! 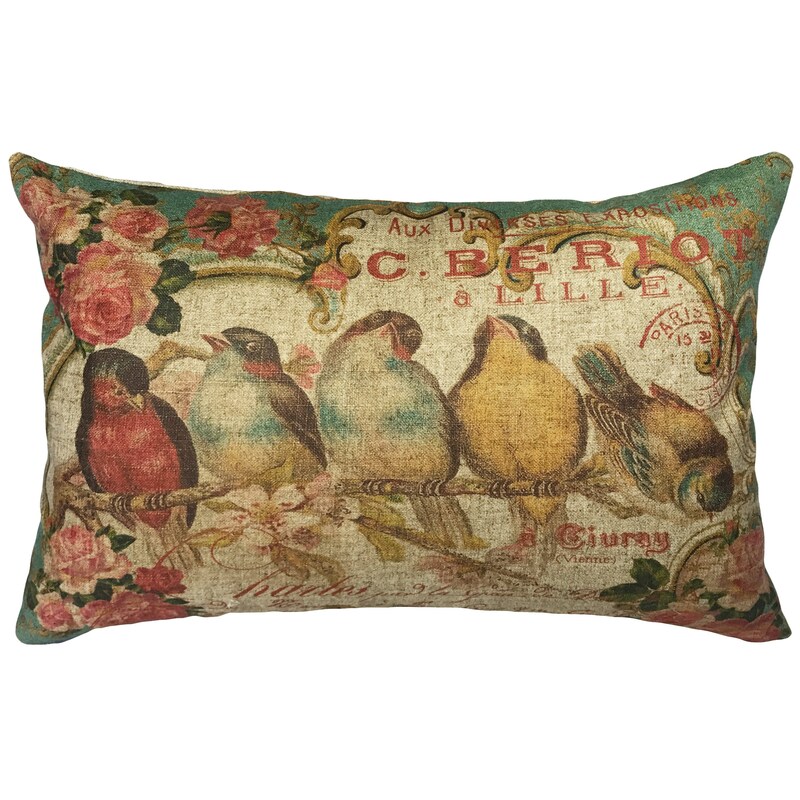 I bought the pillow with the birds in a row. The pillow is exactly as pictured. It’s very pretty and well made. I love it! !